Each month on the Hub, I formally review investment conditions. Favorable investment conditions can be thought of as favorable weather. Just as you don’t launch a sail boat when heavy storms are likely, there are favorable investing conditions when the sun is shining and there is a tailwind that raises the likelihood of positive portfolio returns. Identifying favorable conditions is much easier than predicting specific events. It is the difference between predicting that it will be cold this winter versus whether it will snow on Christmas Day in the Northern Hemisphere. The more specific the prediction, the more likely it is to be wrong. The reason it is easier to predict it will be cold in the winter is because winter is a season not a one day event. Winter is a time when due to the angled axis of the earth either the Northern or Southern Hemisphere is tilted further away from the sun, receiving less of its energy. Hence, it is darker and colder in the winter. While some winter days are colder than others, it is a safe bet that the average winter temperature will be colder than in the summer. Our clothes and activities are different in the winter than in the summer. Likewise, I believe it is appropriate for investors to adjust their portfolios according to the investment season. 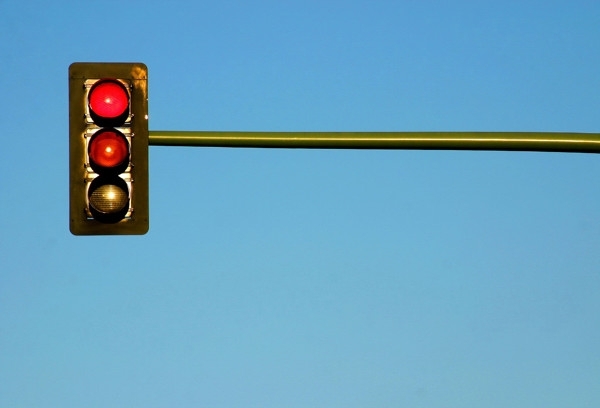 Market valuations, investor sentiment and economic and central bank trends can be thought of as traffic stoplights that are each individually flashing red, green or yellow. When all three are red as they were in September 2008, that warrants extreme caution and a more conservative investment approach. Here is my take on current investment conditions using the traffic light framework. I intentionally keep this report brief. Throughout the month I supplement this report with more specific commentary and updates.